Paradise found. Spend your days out on the lanai view deck taking in the tropical island atmosphere. The warmth of the air, the scent of the Plumera and fresh ocean air, the sounds of the birds, plus the views of the pacific ocean make Maui Sunset the ideal vacation in Spring time. The beach front location is framed by the two 5 story buildings of the Maui Sunset. Each condo is angled in and out towards the water for privacy. Spend your mornings walking down the narrow sandy beaches of Kihei, or rent a paddle board from the pool side activity and tour desk. Some of the best snorkeling and turtle sightings are a short distance away. Ocean front in sunny Kihei on the best island of the popular Hawaiian islands. Maui features the beaches, restaurants, sights including a volcano and 2 rain forests. Explore on your own with easy access by rental car. Or use the services of the onsite conceirge for tour information. Maui is affordable if you stay in your very own fully equipped condominium apartment. Prices valid for new reservations only and for trips within the dates of April 1 to May 15th 2019. Not valid for customers with existing reservations, space is subject to availablity, rates subject to change. Group/Peak Season policy, balance due 60 days prior. Plan ahead and save on travel to Maui in 2019. We've discounted our most popular vacation rental condos for advance booking. For cancellations done less than 365 day(s), prior to arrival date, hour limit of 12:00 AM, the cancellation fee is 1 night(s). Best rate is guaranteed based on available rates on day of booking, room types available, and reserved through www.mauisunset.com, by phone, or through affilated OTA's. For reservations done 60 day(s) prior to arrival, the value of the deposit is 100%. For reservations done 365 day(s) prior to arrival, the value of the deposit is 1 night(s). To keep our popular pool in tip-top shape we need to close the pool area for 4 days for maintenance. Enjoy a 15% discount and go to the beach instead! 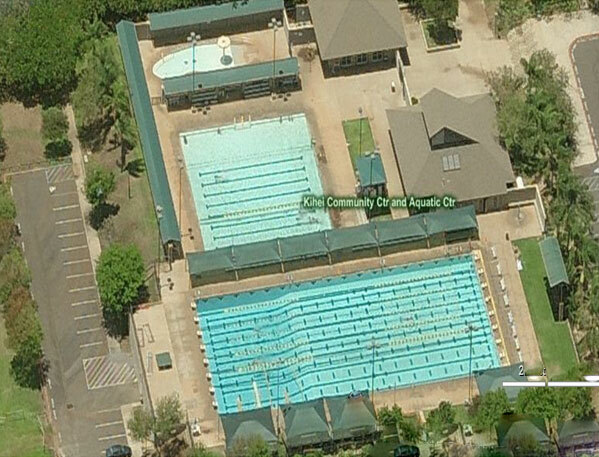 OR...check out the world-class Kihei Aquatic Center Just up the road from Maui Sunset. Features 3 pools, Olympic size lap pool, large mixed-use pool, and kid-friendly splash area. All free! Final Payment: Full pre-payment required 30 days prior to check in date. Cancellations: First night is non-refundable upon reservation. Less than a 14 day notice only 50% of total will be refunded. No refund once travel has commenced. For cancellations done less than 1 day(s), prior to arrival date, hour limit of 11:00 PM, the cancellation fee is 100%. For cancellations done less than 400 day(s), prior to arrival date, hour limit of 12:00 AM, the cancellation fee is 1 night(s). We guarantee the room to be as booked or better. For reservations done 400 day(s) prior to arrival, the value of the deposit is 1 night(s).